Who was Ernest Withers? Most Americans may not know the name, but they do know his photographs. Withers took some of the most legendary images of the 1950s and '60s: Martin Luther King, Jr., riding a newly integrated bus in Montgomery, Alabama; Emmett Till's uncle pointing an accusatory finger across the courtroom at one of his nephew's killers; scores of African-American protestors, carrying a forest of signs reading "I am a man." But while he enjoyed unparalleled access to the inner workings of the civil rights movement, Withers was working as an informant for the FBI. In this gripping narrative history, Preston Lauterbach examines the complicated political and economic forces that informed Withers's seeming betrayal of the people he photographed. Withers traversed disparate worlds, from Black Power meetings to raucous Memphis nightclubs where Elvis brushed shoulders with B.B. King. He had a gift for capturing both dramatic historic moments and intimate emotional ones, and it may have been this attention to nuance that made Withers both a brilliant photographer and an essential asset to the FBI. Written with similar nuance, Bluff City culminates with a riveting account of the 1968 riot that ended in violence just a few days before Dr. King's death. 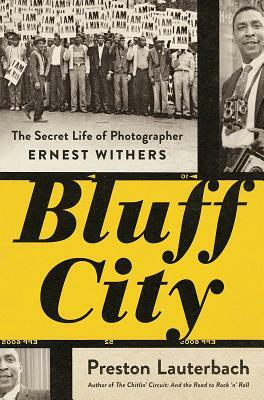 Brimming with new information and featuring previously unpublished and rare photographs from the Withers archive not seen in over fifty years, Bluff City grapples with the legacy of a man whose actions--and artistry--make him an enigmatic and fascinating American figure.